Located just 6 mins from the campsite (or 4 km on foot!) in Londe-les-Maures, Le Château de Maravenne is set facing the Golden Islands of Port-Cros, Porquerolles and Le Levant. 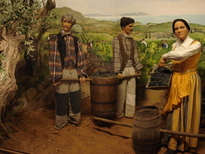 You will love discovering their pretty, automated museum, representing a family of wine growers from the 1920s, with 50 automated characters and animals telling their story! A unique museum in France and must-do during your holiday, with or without your children! 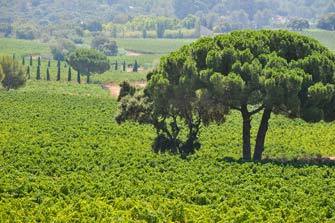 The Chateau also offers a delightful introduction to Provence and its various wines, as well as excellent local produce which you can sample during your wine tasting session. Simply delicious! During summer, the large open-air theatre set overlooking the vineyard hosts music and plays with spectacular views over the Golden Islands.